The nanoCAD menu files have the .cfg extension and a structure different from the menu structure (*.mnu, *.cui, *.cuix) of other CADs. In the 8.5 version, the support of macros has been added that can include several commands and parameters, as well as LISP expressions. 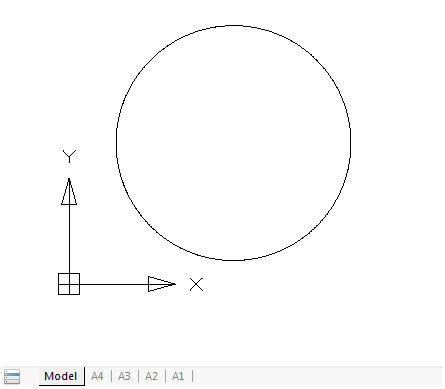 As an example, let’s write a single-item drop-down menu MyTest.cfg (with the Notepad text editor) that creates a round hole of radius 500 in the center point 700,600 in a drawing with the CIRCLE command. The dialog in the command line of such macro is shown in Fig. 1. The user must click on the menu item only one time without the need to enter any other data. This macro includes the CIRCLE command and two parameters: 700,600 (the center point coordinates) and 500 (the radius value), which are separated by a semicolon (the equivalent of pressing Enter when running on the command line). To simplify loading this menu, let us use the testcfg.package packet file, specifying its name in the startup suite. To do this, select the menu item Tools > Application > Load application, and in the Load/Unload Applications, click on the Contents button under the briefcase image (Fig. 2). Here, in the ConfigEntry tag, specify the data about the CFG file, which must be loaded immediately after loading the main nanoCAD core (there must be several tags, if you want to load several CFG files). 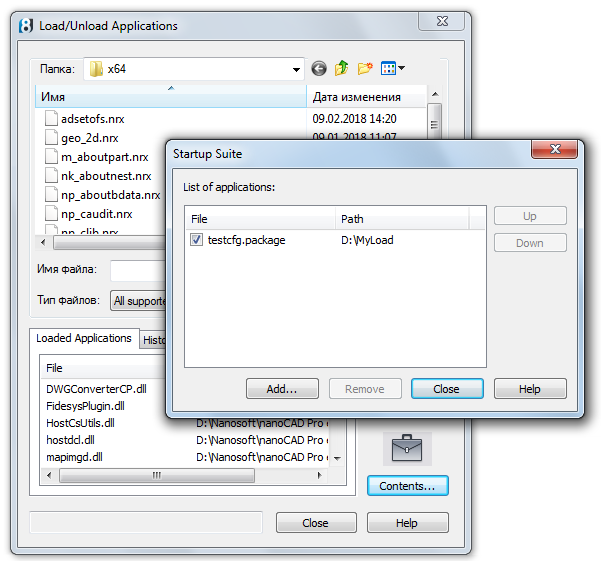 For more details about .package files, see the article Customizing the User Interface When Installing Apps For nanoCAD Plus 8.5“. The macro we wrote is a complex one (it includes three parts). But it implements a very simple option. Let us expand the task: allow the user himself or herself specify the center point. As compared with the macro in the previous example, there is no center, but there is back slash (\). This is a pause signal for user input (there, the CIRCLE command requests the center point). Fig. 5 shows how our macro looks like if we load the MyTest1.cfg file into the interface editor using the INTERFACE command (or using the menu item Tools > Customize> Interface) and select the MyTest1.cfg file using File > Open. In the Properties pane, the macro text is shown in the Keyword parameter. Important note. 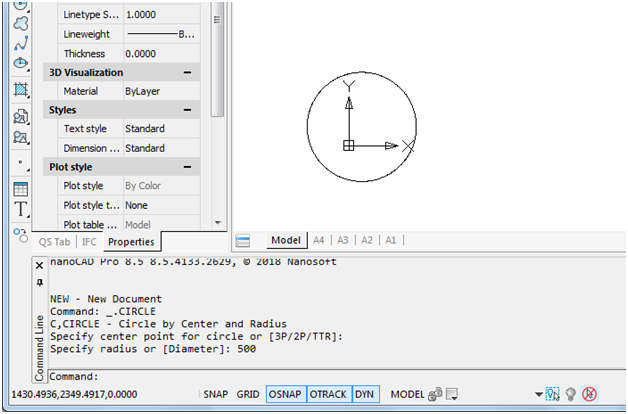 When you save menu files in the interface editor, they replace the main menu of the nanoCAD platform. To return to the previous main menu, use the SETCONFIG command or edit manually the file c:\Users\user\AppData\Roaming\Nanosoft\nanoCAD [x64] Pro Int 8.5\Config\cfg.ini. 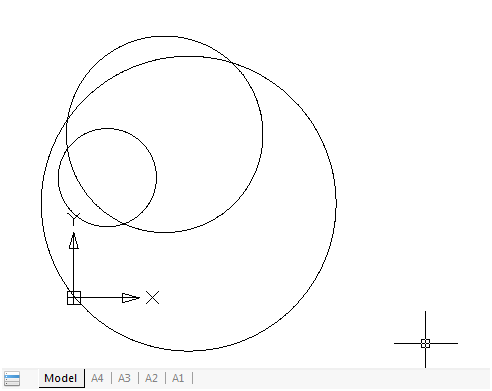 Processing LISP expressions in the command line is another step forward in nanoCAD 8.5. At the same time, it is possible to include LISP expressions in the macro menu. 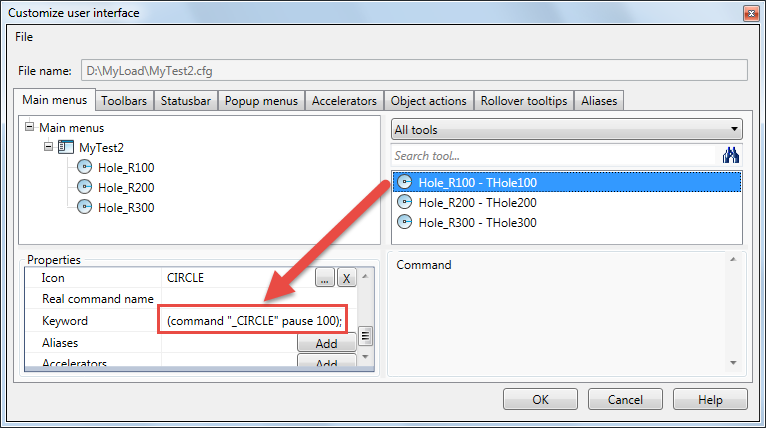 For example, let us write another variant of the menu (MyTest2.cfg), but already including three items that implement creating round holes in the drawing using the CIRCLE command. The commands must run through LISP expressions. The menu items will differ only in their radius values (100, 200, and 300). There, the hole center point will be requested using a pause (the PAUSE LISP symbol). At the same time, let us complicate the menu items adding a standard icon of the CIRCLE command. The system icons are in the newbtns.dll file which is part of the nanoCAD software. The icon name is the same as the command name. This file includes the description of three commands (THole100, THole200, THole300), that operate by running LISP expressions with a command function. 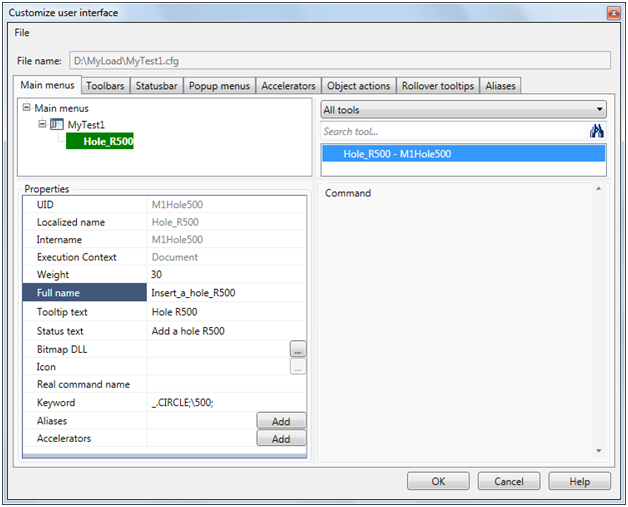 See how the macros with a LISP expression looks like in the interface editor (in the figure, at the beginning of the article, the menu MyTest2.cfg is shown). In this example, when running the LINE command, the ‘ZOOM command was run in a transparent mode with the E parameter (Zoom Extents), whereupon the control returns successfully back to the LINE command. When exporting user menus from AutoCAD to nanoCAD, the CuixConverter.exe utility function can be used, ftp.nanocad.ru/habr/CUIX85/CuixConverter85.zip. <path> may be absolute or relative (according to Windows rules). If the path is not specified, the file must be stored in the current folder. As a result of running the utility function, the my.cuix.cfg file with the conversion results will be created in the same <path> folder. This will save you from the painstaking work on writing CFG files manually or using the Tools > Customize > Interface command. This entry was posted in General on May 25, 2018 by DevClub.